The Broadcast Audience Research Council of India (BARC India) has elected Punit Goenka MD and CEO of Zee Entertainment Enterprises Limited (ZEEL) as the Chairman. Punit Goenka as a founder Chairman of BARC had played a key role in institutionalizing BARC. Broadcast Audience Research Council of India (BARC India) is a collaborative Industry Company founded in 2010 by stakeholder bodies that represent Broadcasters, Advertisers, and Advertising and Media Agencies. UNESCO has declared 2019 as the International Year of the Period Table of Chemical Elements to commemorate the 150th birthday of the periodic table of the periodic table of chemical elements. The Periodic table of the Chemical elements was first published by Russian scientist Dmitry Mendeleev in the year 1869. January 30 is celebrated as Martyrs Day to honour the brave martyrs of India who have sacrificed their lives for the country. On January 30, 1948, at the age of 78, Mahatma Gandhiji, Father of the Nation was assassinated by Nathuram Godse. Godse held that Gandhiji favoured the political demands of India’s Muslims during the partition of India. On the occasion of Martyrs Day, the President, the Vice President, the Prime Minister, the Defence Minister, and the three Service Chiefs gather at the Gandhiji’s samadhi at Raj Ghat memorial and lay wreaths. March 23 which is the death anniversary of Bhagat Singh, Shivaram Rajguru and Sukhdev Thapar is also celebrated as Martyrs Day in the State of Punjab. Prime Minister Narendra Modi inaugurated the National Salt Satyagraha Memorial at Dandi in Navsari district, Gujarat. The memorial is conceived as an experiential journey recreating the spirit and the energy of the 1930 Dandi March led by Mahatma Gandhi and 80 of his fellow Satyagrahis. The Memorial is the project of the Ministry of Culture, Government of India and is advised by a High-Level Dandi Memorial Committee (HLDMC) with IIT Bombay as a Design Coordination Agency. 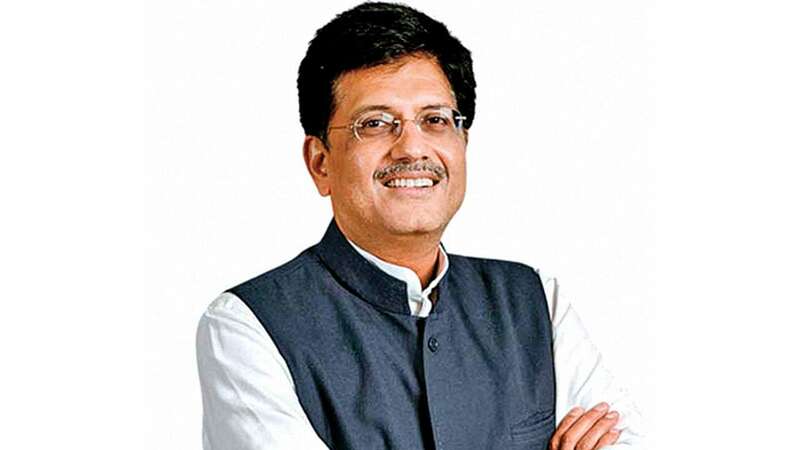 The Union Minister of Railways and Coal, Piyush Goyal has been awarded the Carnot Prize 2018 for the transformational changes brought by him during his tenure as Union Minister of Power. He made it possible the electrification of nearly 18,000 villages in some of the most remote and inaccessible parts of the country, rolling out a comprehensive power sector reform plan UDAY, the world’s largest LED bulb distribution program, and the world’s largest renewable energy expansion program. Established in 2015, Carnot Prize is the annual recognition by the US-based Kleinman Center for Energy Policy. The Department of Industrial Policy and Promotion (DIPP) has been renamed as the Department for Promotion of Industry and Internal Trade. The newly named department will work under the Union Ministry of Commerce. The order issued by the President states that department would deal the matters related to start-ups, facilitating ease of doing business among others. With this new mandate, both internal and external trade has been brought under a single Ministry (Ministry of commerce and industry). 1. When was Broadcast Audience Research Council of India (BARC India) founded? 2. When was the Periodic table of the Chemical elements first published? 3. On which day India observes Martyrs Day to honour the brave martyrs of India who have sacrificed their lives for the country? 4. Where was the National Salt Satyagraha Memorial inaugurated by PM Modi? 5. Who has been awarded the Carnot Prize 2018? 6. When was the Carnot Prize by the US-based Kleinman Center for Energy Policy established? 7. What is Department of Industrial Policy and Promotion (DIPP) renamed to? 8. What is the title of the report of the International Energy Agency (IEA) launched by Piyush Goyal?